While picnic tables serve as the ultimate place for outdoor gathering, it's important to remember that adding picnic table accessories will only enhance the experience. We offer a variety of umbrellas, shades and stands to choose from. 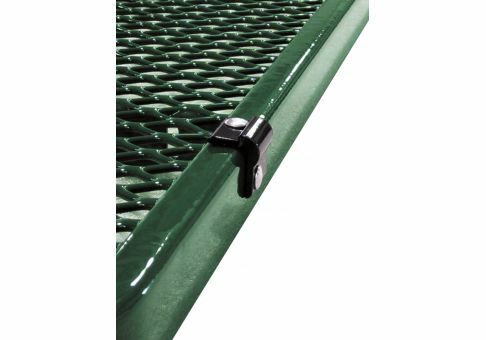 We also have necessary accessories such as protectors to maintain the appearance and comfort of your picnic tables. Picnic tables provide the perfect place to enjoy the outdoors with friends and family. The best time to gather together is during the warm months, which means long sun exposure. In order to prolong your fun times, shade is a must! Umbrellas and shades keep unwanted sunburns and blisters from ruining your day. Many picnic tables come with a center hole that is just for umbrellas. While we offer commercial market umbrellas that are perfect for any application, we also offer commercial logo market umbrellas that are great for advertising your business or brand. And with the umbrellas, we have stands to keep your commercial umbrella in place through any weather condition or application. We have rolling, in-ground, and traditional umbrella stands to choose from so you can easily pick the one that meets your needs. In addition to umbrellas, we have leg protectors and anti-skateboard tabs. These two accessories are vital in keeping your picnic table looking and feeling great. No one wants to have random scuffs appear on their picnic tables. These scuffs and scrapes ruin the appearance and smoothness of your seating. Protect your investment with these important necessities.